As much as I like to herald the good things humanity has done, I can’t help but feel distressed at the bad things. Things such as this. The bp oil spill is one of the worst ecological disasters in recent history, and from the news, it’s set to continue for a while as they attempt to fix it. 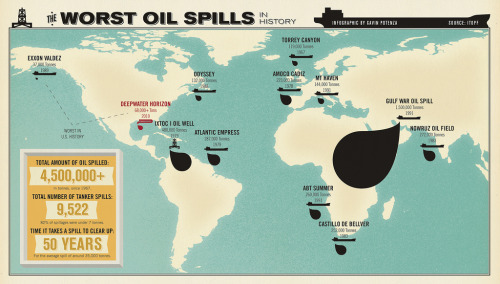 Now ok, as you’ll see from the image below, the Deepwater Horizon spill isn’t the biggest spill in history. Actually, it’s mercifully small. The problem here is the location. The Gulf of Mexico is home to a plethora of flora and fauna. Some, like the cold seeps, are unique and of special scientific interest. In particular, certain communities of chemosynthetic life live in the north part of the Gulf of Mexico, and for all we know, there are no others exactly like them on the face of our planet. Interestingly though, some of these lifeforms actually metabolise hydrocarbons! Maybe they might even help to clean things up. Don’t think I’m being a stoic scientist here either. Lots of people life on the coast and make their living catching fish or farming shrimp. Fish and shrimp which are now dead. It’s all very well that bp are telling people they’ll pay dividends, but really, these people have had their livelihoods ruined here. There is also another problem to do with the location of this spill. The Gulf of Mexico is the driving force in the Gulf Stream. 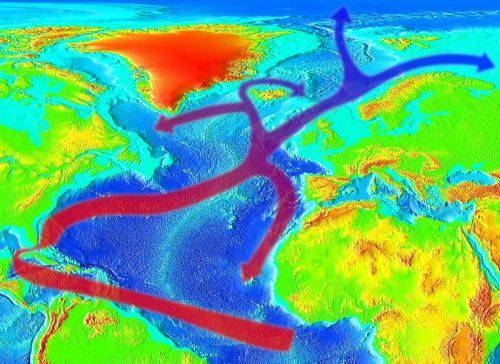 One of the world’s most powerful ocean currents, the Gulf Stream is responsible for circulating much of the water in the Atlantic Ocean, as well as for keeping Britain warm. 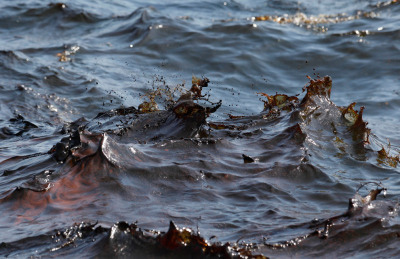 * Unfortunately, this means that oil from this spill is likely to be diluted and circulated around the entire Atlantic. The North American coast, Europe and even the Arctic may possibly see traces of spilled oil wash up on shore. Contaminants will probably end up in the Atlantic food chain. I fear we may be seeing repercussions of this disaster for years to come. *I know that a significant fraction of my acquaintances will start whining at this statement, that “Britain isn’t warm.” In response to anyone who feels that way, I’d recommend you go on holiday to Siberia, which is at the same latitude! This entry was posted in Imported from Livejournal and tagged earth. Bookmark the permalink.